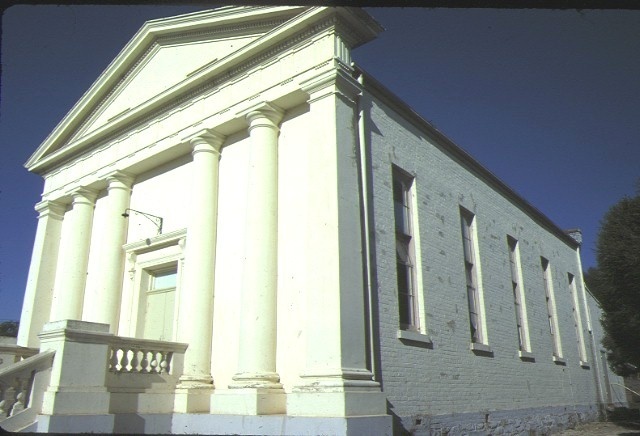 The Former Eaglehawk East Primitive Methodist Church was constructed in 1865 to a design by architect George Reilly Cox. The contractor was N Williamson of Green Gully and the cost was estimated at £1,100. 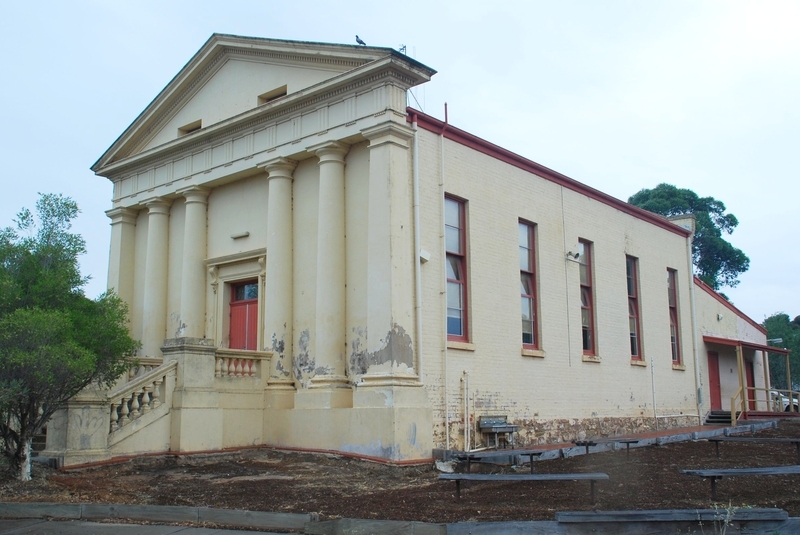 The building is constructed of brick on a bluestone plinth and is designed as a hall with a rendered portico and gabled corrugated iron roof contained within parapets. The portico is based on the Roman Doric order in hexastyle form with four engaged columns unequally spaced in antis between two outer pilasters. The central doorway is approached by a flight of steps and has a bracketed lable mould over. The doors have been replaced. The interior has a flat timber ceiling and a deep cornice. The ceiling is arranged into panels with the ventilators picked out as features. Parts of the ceiling have been lined with pressed metal. The floor is slightly raked and the walls have timber wainscotting below the dado. The building is significant as one of a few surviving works by GR Cox and for its naive temple design appropriate to the non-conformist views of the Primitive Methodist Church. Former Primitive Methodist Church, High Street, Eaglehawk East.